Search engine optimization seems to be a vital aspect of every business. However, for small businesses, it could be quite challenging to keep up the pace with the ever-changing algorithms that govern the SEO best practices. You must keep only one thing in your mind that is if you are dedicated to the success of your website, you must give top priority to SEO. It is a must to chalk out a concrete SEO strategy because a wide majority of consumers are today opting for online businesses. Here are a few effective tips for boosting SEO rankings. Mobile Optimization: Your website must be seamlessly viewable across mobile platforms. Google has been quite vocal in this regard and has said that mobile websites that are not capable of performing up to the mark from a technical point of view, would end up getting lower rankings obviously, as compared to those who have mobile-optimized sites. You may consider using traffic analyzers for gauging the amount of traffic that flows to your website from mobile users. You may also consider using an online tool for checking how effortlessly your site would be translating to mobile. Just Any Content Is Not Supposed to Be the King: Content has to be credible to be the king. It is essential to opt for professional content marketing to boost your small business. You may start a blog. It is a really effective tool for producing and efficiently distributing convincing content for boosting your brand. The blog is a useful strategy that could be considered as it offers immense benefits. You must develop compelling blog posts around present industry issues and relevant information for all your potential customers. You must be organized about the scheduling of your blog posts. Be ready with posts well ahead of the time. Follow simple but effective scheduling techniques. Consult digital marketing experts for professional advice and perfect SEO solutions. Interact on Social Platforms: Small businesses must get involved in active social interaction with their specific target audience. You must devote some time to interact with your potential customers and dedicate genuine efforts at building relationships on the social media platforms. That would be going a long way in making your business relatively more credible and relevant to your prospective customers. Optimize the FAQ Section of Your Website: You must concentrate on composing your FAQ section in such a manner that it is packed with the targeted keywords. The FAQ section must effectively provide thoughtful and accurate answers and incorporate interactive links to some other sites and also, certain targeted social assets. Only then the FAQ section of your website could serve to effectively boost your company’s SERP rankings. Google is forever interested in a magical blend of relevant content, links, and keywords. Once you are able to understand this clearly, you would be successfully nailing them down and achieving higher rankings. Get Included in Local Listings: Boost your exposure in the business circuit simply by getting your company listed on all prominent local business listings such as Google My Business, Yahoo Local, and some other reliable sites that would be helpful in informing users about your company’s presence very much within their community. You do not require an SEO expert all the time to chalk out a successful and effective business strategy. 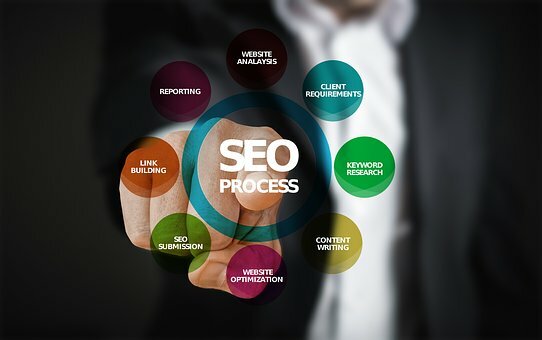 You need to implement the right SEO techniques that would work for your business. Follow the above-discussed SEO tips to boost your small business. Author Bio: Richard Sanderson is an SEO professional and a digital marketing specialist based in Pittsburgh. He has a very popular blog where he writes about various aspects of SEO and digital marketing.